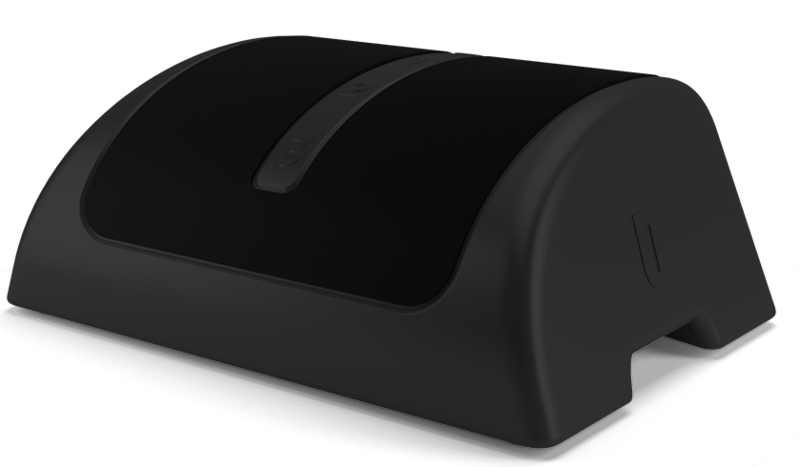 The One Stretch is designed with pain relief in mind. 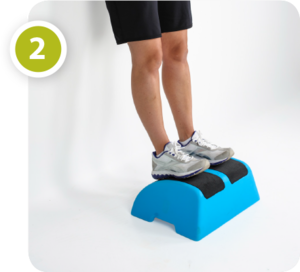 If you suffer from plantar fasciitis, heel pain, midfoot arthritis, or Achilles problems and you haven’t been able to find relief no matter what you have tried, the One Stretch is the breakthrough that you are looking for. 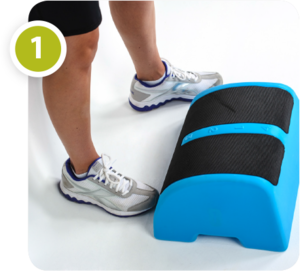 Dr. James Amis designed the One Stretch to tackle your pain at the root of the problem: your calf. Calf tightness is where the pain and pressure of common foot ailments like plantar fasciitis and heel pain begins, and just one stretch will solve that calf tightness. 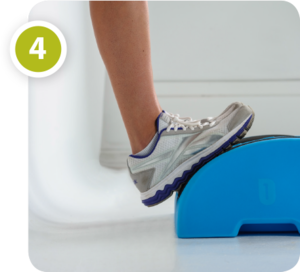 Calf stretching is an essential everyday activity for everyone, not just athletes and exercise-enthusiasts. 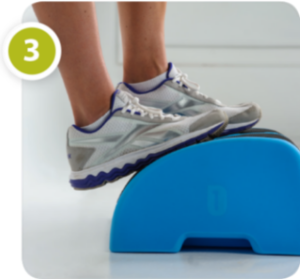 One Stretch is designed to promote healthy habits and alleviate plantar fasciitis and heel pain caused by calf tightness. See what a satisfied customer has to say. With your back to the wall, and the device in front of you, place the length of your foot between the wall and the One Stretch. Individuals may prefer the product closer or farther away. Place the palm of your hands against the wall and step up onto the device, using the wall as support. Keep your balance as you step up onto the curve. After stepping on to the One Stretch, slide your feet back, alternating one foot after the other to find your desired stretch intensity. Now just allow your heels to slowly sink comfortably towards the floor in order to optimize your stretch keeping your weight centered on the arch of your foot. Now you can stretch the right way. I am 78 years old and after several months of severe pain in my arch I was told by my orthopedic surgeon that the only way he could help was to do surgery. My son-in-law contacted Dr. Amis and he diagnosed midfoot arthritis over the phone. As directed, yet very skeptical, I started stretching on the One Stretch and my pain was all but gone in about 2 weeks. I have been on that One Stretch every day for 3 years now and I am pain free. No more start up pain, no surgery, and I get around better than I have in years. The One Stretch has changed my ability to be active. My walking is better, my workouts are better, and even my golf game is better and my legs feel strong at the end of 18 holes. I even gave a One Stretch to my Personal Trainer for his Gym and one to my Country Club and I have many people as well as the Personal Trainer tell me what a big difference it makes. I use my One Stretch every morning and if I don’t I can tell during the day and know that I need to get back on the One Stretch. I am an advocate for One Stretch and Dr. Amis’ stretching protocol. I am very serious about following his calf stretching program, and at 59 years old and post-6 surgeries, I am still as active as ever! Anyone who knows me has already heard of the One Stretch and Dr. Amis’ stretching program. I have given his videos and suggested his One Stretch device to all my friends and family. It is such a simple and cost effective way to combat pain that I am surprised everyone suffering hasn’t tried it- I hope they do! 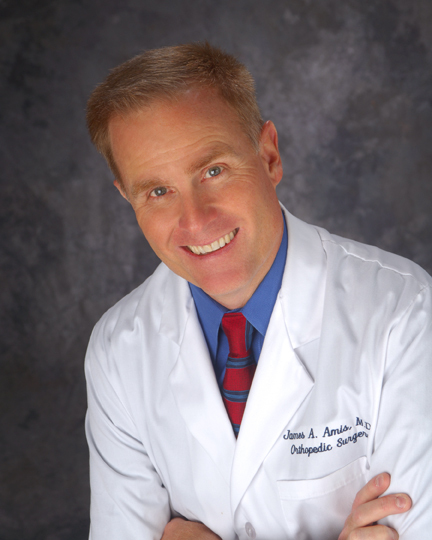 Dr. James Amis is a board-certified orthopaedic surgeon whose practice was limited to the treatment of foot and ankle problems. 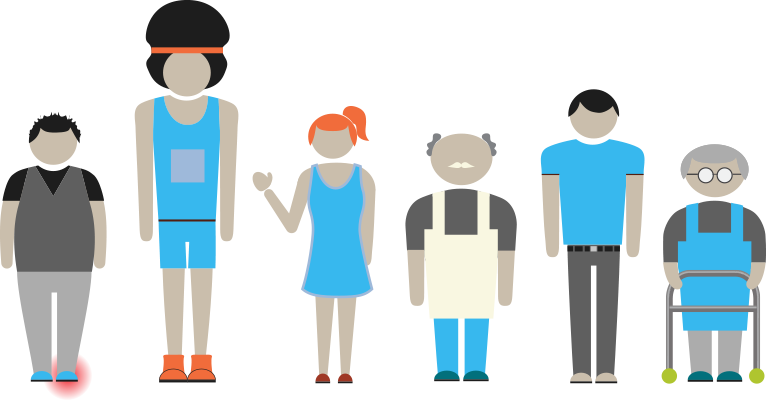 In 2016 he left active practice to pursue a career change. Today he is helping millions as the Medical Safety Officer, Global Trauma, for DePuy Synthes companies of Johnson & Johnson. For many years he has been a dissenting voice in the medical community and an advocate for patients seeking real, non-surgical remedies for plantar fasciitis and many other foot and ankle ailments. Based on the extensive body of knowledge gathered from the thousands of patients he treated in over 30 years of practice, and more recently the rapidly growing body of scientific evidence, Dr. Amis came to an inescapable conclusion – much of what the medical profession considers standard practice for the treatment of plantar fasciitis, foot pain, heel pain, midfoot arthritis, and a host of other foot ailments, is simply incorrect.